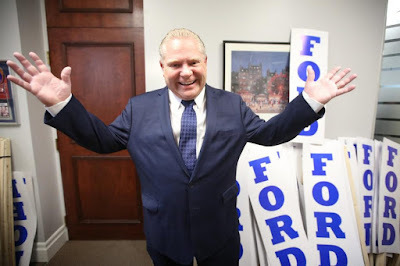 Doug Ford, the new leader of the Conservatives in Ontario, has called the plan to raise the minimum wage to $15 an hour in January, 2019 a "tax grab" --which of course it is not. It is legislation that would force corporations to pay their workers something more approaching a living wage. It is not a tax at all. Rather it makes those who should be paying workers more -- the businesses those workers work for -- do so. Instead Ford proposes that minimum wage workers should get a tax cut. This tax cut would amount an extra $859 a year for full time minimum wage workers. The higher minimum wage would mean an extra $1,553 a year for that same worker. So Ford's plan is quite literally a proposal by a rich guy that would take $694 a year out of the pockets of lowest wage workers in the province. According to the CBC and others, Ford's plan works out even worse for part-time minimum wage workers. 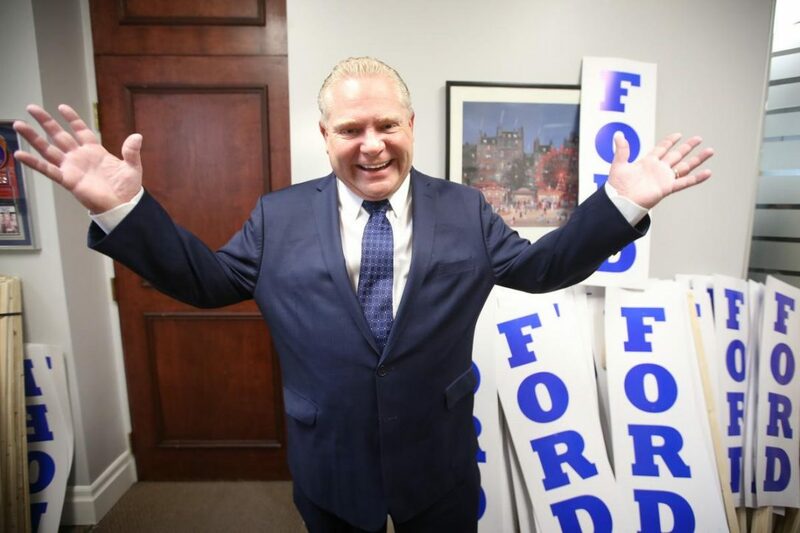 But more than that, Ford says his plan would cost the government approximately $500 million annually in lost revenue. Revenue that will have to be made up through cuts somewhere. Which means that ultimately he wants all of us to collectively subsidize the low wages paid by some Ontario businesses -- many of which are huge, and hugely profitable, multinational corporations with multi-millionaire or billionaire CEOs. It is very important to keep that in mind. Any plan that frames tax cuts or credits as an alternative to higher wages is by definition asking the people of the province to help ensure that businesses can continue to pay workers wages that they cannot live on. While many leftists would absolutely agree that minimum wage workers should not be paying income tax -- taxes instead should be steeply raised on people like Doug Ford -- this can never be seen as a fair alternative to demanding that businesses pay higher minimum wages. Because it is not one! Have minimum wage increases in Ontario demonstrably driven up inflation? No. Visit Community Roots Books, Movies & Art on Ebay (at the link below) for hundreds of titles. Many leftist & academic books. Lots of rare and out-of-print. New media added all the time! Vintage 1970's Soviet Postcard Folder of the Streets of Volgograd (Stalingrad)! It's Mainly Because of the Meat"
The Left Chapter is a website created by Michael Laxer that shares news, blogs, events, videos, fiction & poetry and food writing from a leftist perspective. Contributions from all leftist perspectives are welcome and can be sent to theleftchapter@outlook.com. If you are having an event that you would like us to share or want your website added to our "Sites of Note", please email them to this address. If you are interested in republishing anything here, please contact us at the above email as well.